1. Using idea metrics as innovation funnel. Semantic Web offers re-boost data integration capabilities. This can be used to link Idea Management System with other applications to extract more descriptions about particular ideas that passed various stages of the Idea Life Cycle. Such information can aid to asses current ideas, newly submitted ideas based on similarity detection or explore the overall efficiency of the Idea Management System or even enterprise innovation politices. 2. 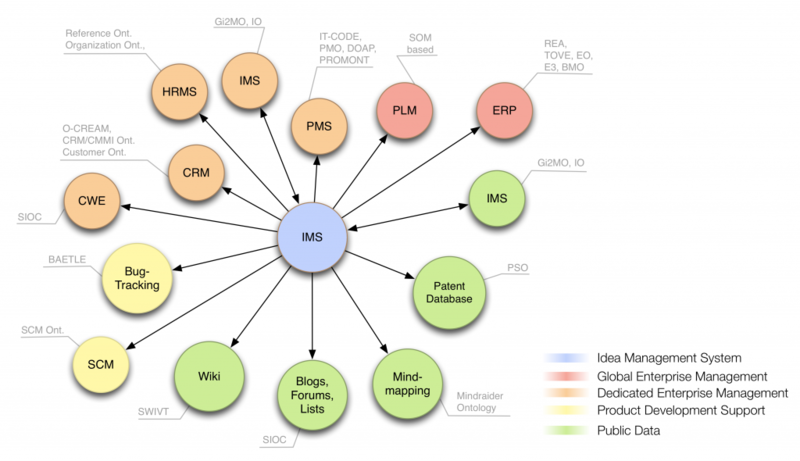 Linking Idea Management Data. 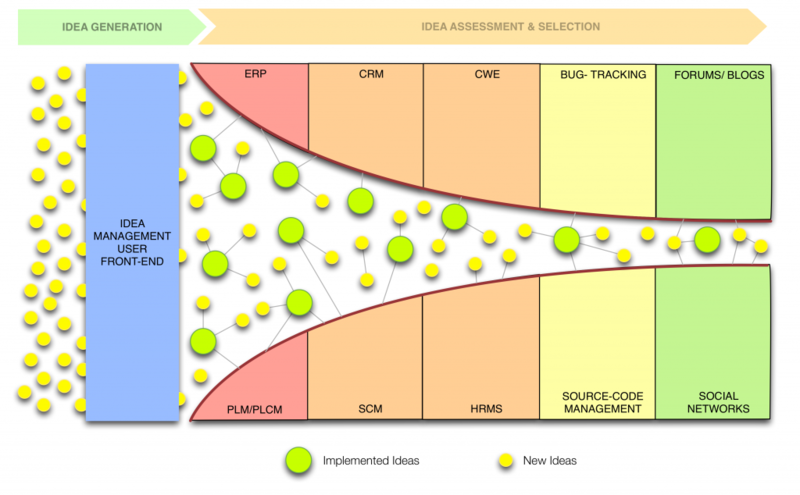 Idea Management Systems typically deployed in organizations and large enterprises are usually only a drop in the rich enterprise network of management systems. Depending on the type of the system the links can be exploited in various ways. 2.1. Choosing an ontology for your enterprise system. The successfulness of the implementation of the above diagram is not only measured by Idea Management System deployment and implementation of Gi2MO. The Linked Data quality and usage efficiency relies on the state of semantic annotations defined for other systems (e.g. if human resources system exports data that can be exploited by Idea Management). Once its certain that both Idea Management System and the other systems can properly expose their data, the linking infrastructure has to be established. As part of Gi2MO research we developed certain properties to achieve that and schemed about the benefits that particular links could grant. In addition, if you wish to start development of a particular scenario we recommend the full spreadsheet with detailed information on links, metrics and references to particular enterprise and public systems ontologies. If you have any doubts or a case that we did not cover feel free to contact us.